Chloe and Halle: Our Spring 2016 Cover Girls! These sisters have been killin’ it on YouTube for years — and just a few months ago Queen Bey caught wind of their slayage and signed them to her company, Parkwood Entertainment. 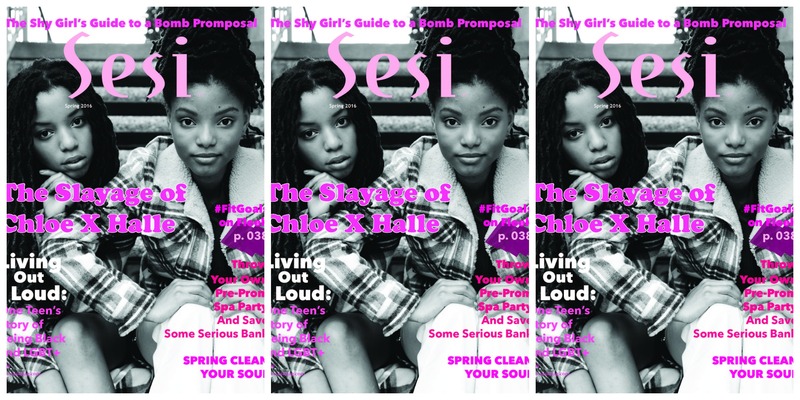 In the spring 2016 issue of Sesi, Chloe and Halle talk about it all. From their Internet fame to their celebrity crushes to their dream collabs to their new music (and brand-new sound) + more!